A real wake up call! It’s funny how life does you sometimes. This is a really fun story! 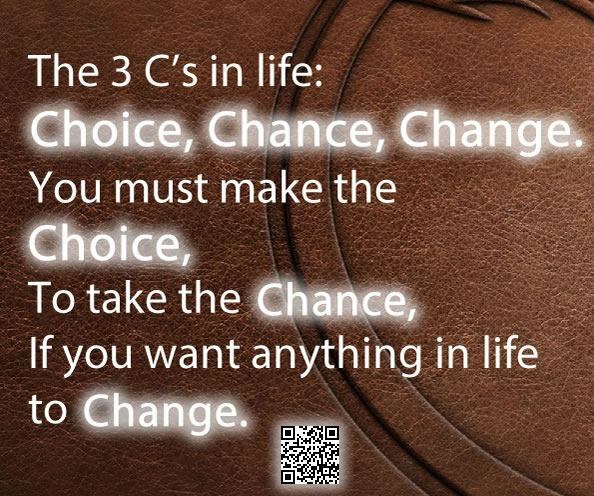 The 3 C’s in life: Choice, Chance, Change. THE GRASS IS GREENER! IS AN AUDIO POST AS WELL AS WRITTEN. PLEASE LISTEN TO THE FILE IMMEDIATELY BELOW THIS SENTENCE! The Grass is Greener is an age old concept that more often than not is a completely misleading to the person being told it is greener somewhere else. Bold Statement? No, Not really…..This is an implied if not overtly stated thought by those trying to sway “you” (“you” defined as anyone not engaged in whatever endeavor those trying to sway the “you” to embrace by switching the “you’s” focus from their present endeavor) to join the new endeavor. HOWEVER, the Grass is Greener is most often just not the case! The Grass is Greener WHERE YOU WATER IT! You have to stay the course of the endeavor you are engaged in! A dear Friend of mine said it best, in reply to me advising her to continue by simply repeating what she had already accomplished and doing it again. This is how Super Success is attained, by focusing on your endeavor and simply doing what ever it took to be successful again and again thereby reaching far greater results. THIS IS HER REPLY….and the reason I say she got it! The loss you will incur by changing is just simply not acceptable. Folks, from my heart, with RAT condition……Please get it! Getting started right…the aim is to get you qualified to get your first check by Wednesday! This 29 minute audio will get you started right, the aim is to get you qualified to get your first check by next wednesday! 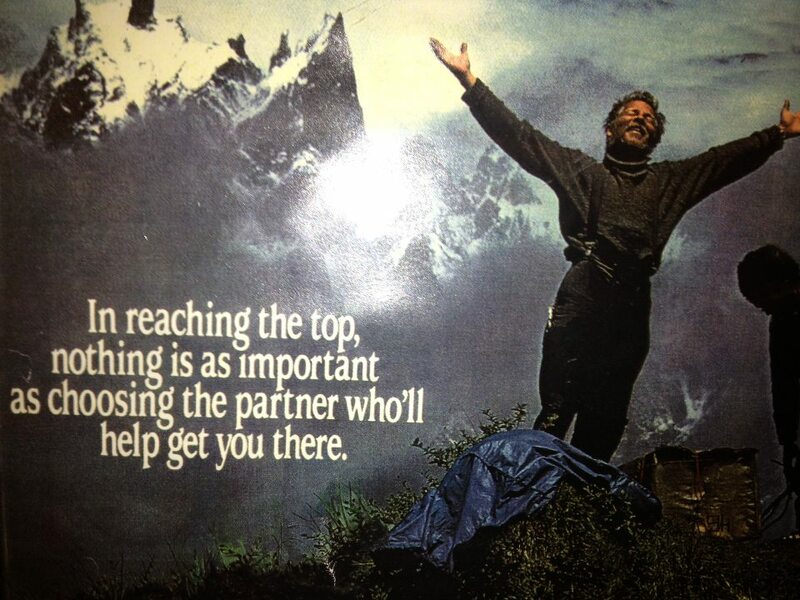 Nothing is more important than the partner you choose to help you get to the top! 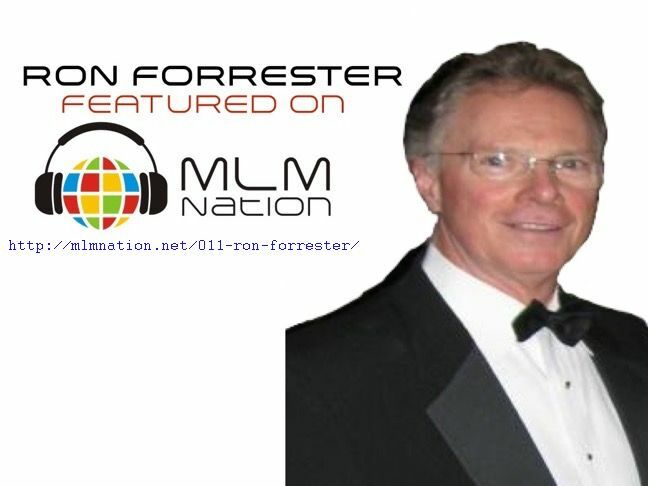 MLM Nation Interviews Ron Forrester. Ron Forrester is an internationally known and respected Network Marketing Author, Consultant, Trainer and Speaker, who has been featured in many industry publications. 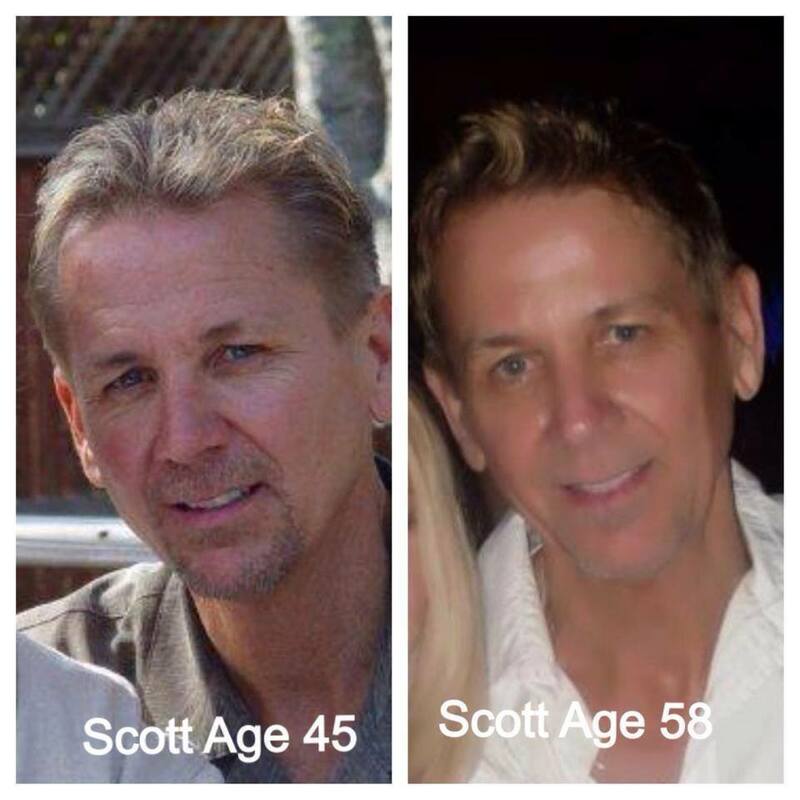 He has been a Network Marketing Professional for 30 years as a Full Time distributor. He started as a spare time associate in 1980 while working as a Pharmacist, Ron built his first organization to producing an income that was multiples of his pharmacist annual income, and as he likes to say it…. at 36 years old he was able to retire forever from corporate America. 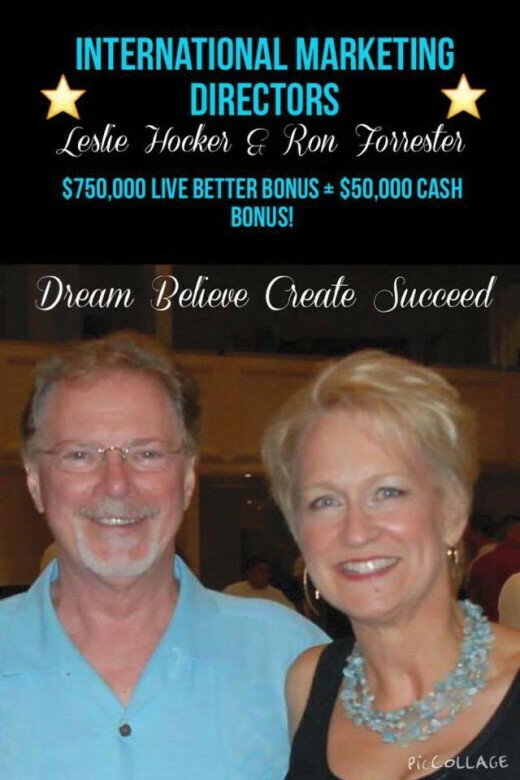 Recently Ron and Leslie earned … a BONUS of $50,000,00, a BONUS of $150,000.00, a BONUS $375,000.00, and just last month earned another at $750,000.00 over and above their annual earnings of over $1,100,000.00! There is NO elevator to success. 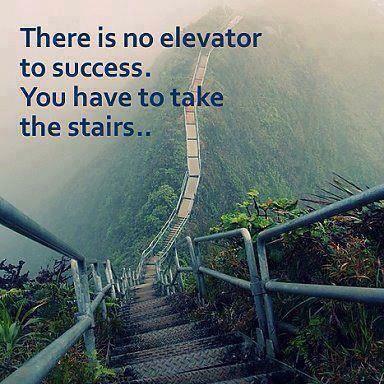 You have to take the stairs! 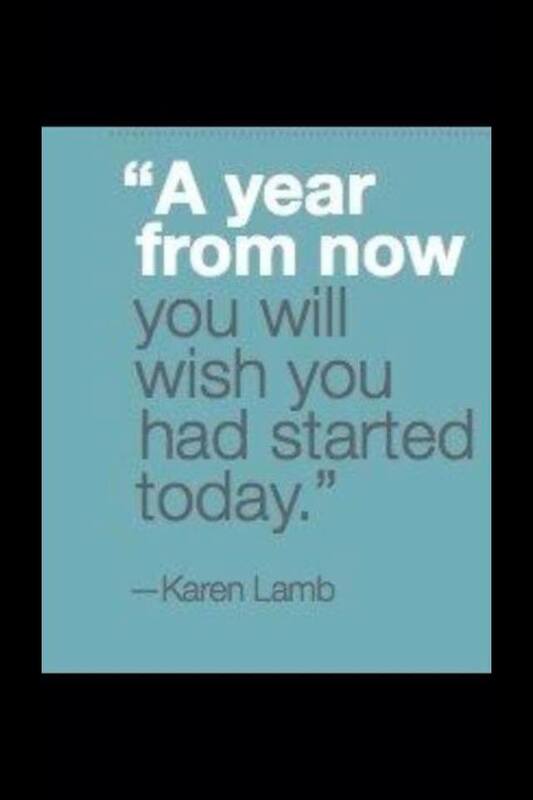 A year from now you will wish you had started today! Who Wants to Make Money? 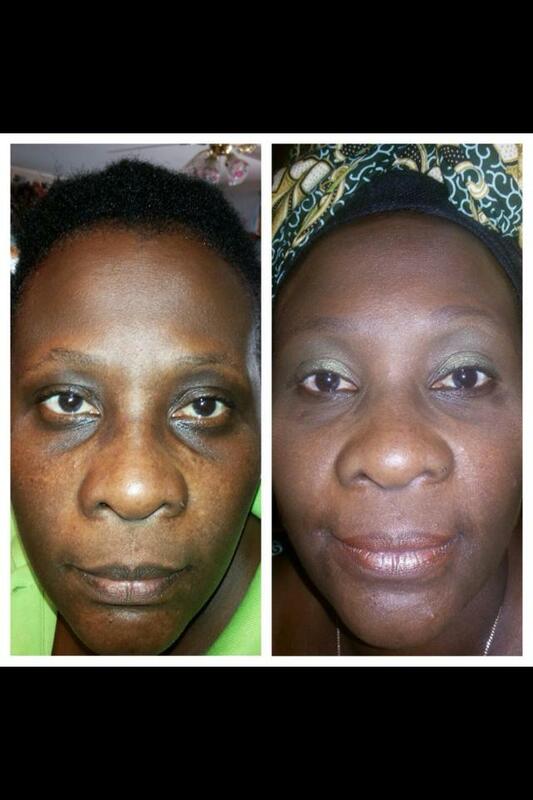 One of the Top Earners In Nerium International Tell you how! YOU MUST REMEMBER THIS! And tailor your life for the best results because this concept is crucial to success! The audio recording below is just 14 minutes and 34 seconds, recorded by my partner one of the top money earners in Nerium – Leslie Hocker – and incorporating testimonials from many others and Can CHANGE YOUR LIFE! 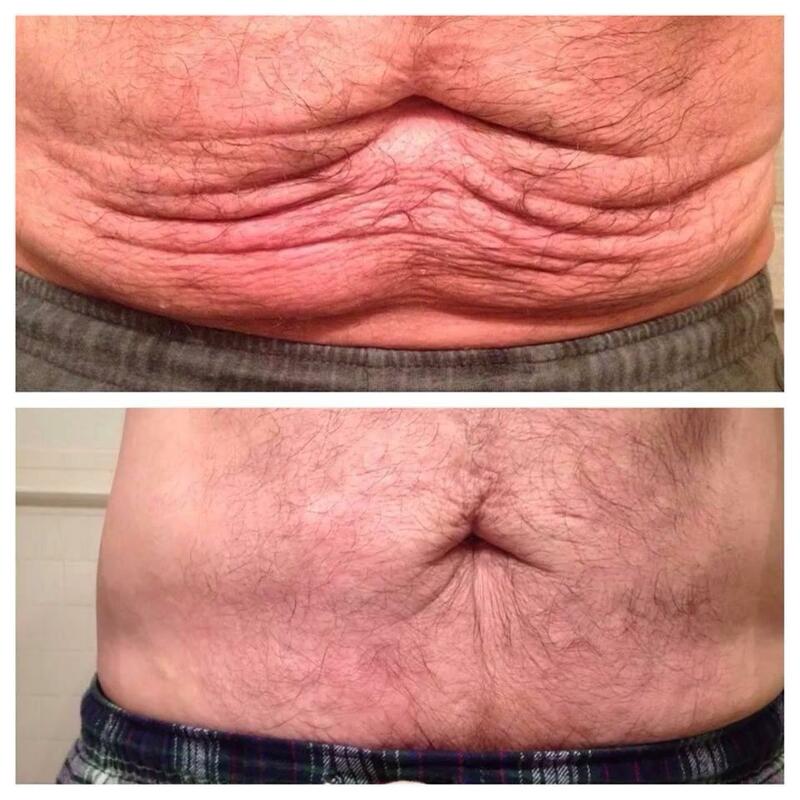 YOU WILL KNOW in just 14 minutes and 34 seconds WHY NERIUM – WHY NOW! 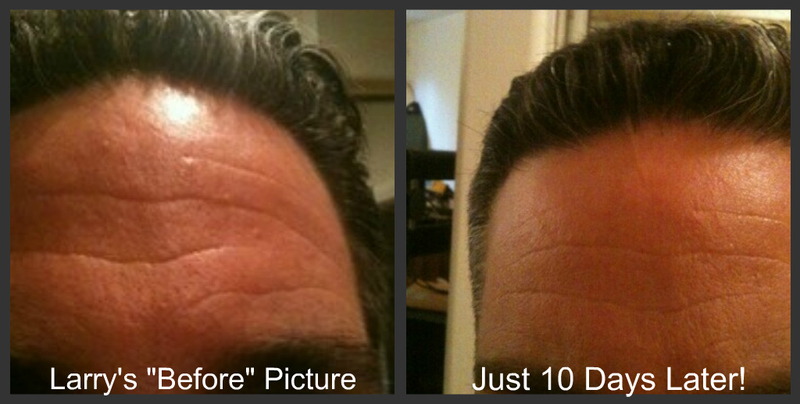 The pictures below prove how we are doing it! EVERYBODY wants our product! Leslie and I are launching ourselves again!! We are doing again what we have already done! Which is why NOW is the TIME for YOU! Over the past 3.5 years we have helped over 50 people get a $50,000.00 Bonus up to a $375,000.00 bonus over and above their commission earnings. WE ARE DOING IT AGAIN! Right now, the first 20 SERIOUS people to leave their info and connect with us will be in on that kind of earnings just by following a simple system! Partner with us and live the life you dream of – the life you deserve! NOW! Listen to the 14 minutes and 34 seconds! 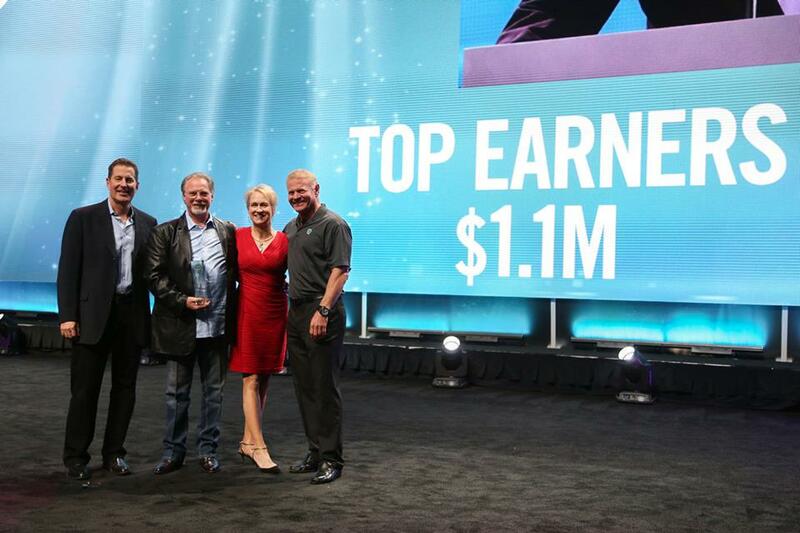 Then watch the 8 minute video recorded by none other than Jeff Olson – The Millionaire Maker – Founder and CEO of Nerium will tell you where Nerium is going just this year! Powerful Information that can change your life, when you TAKE ACTION! 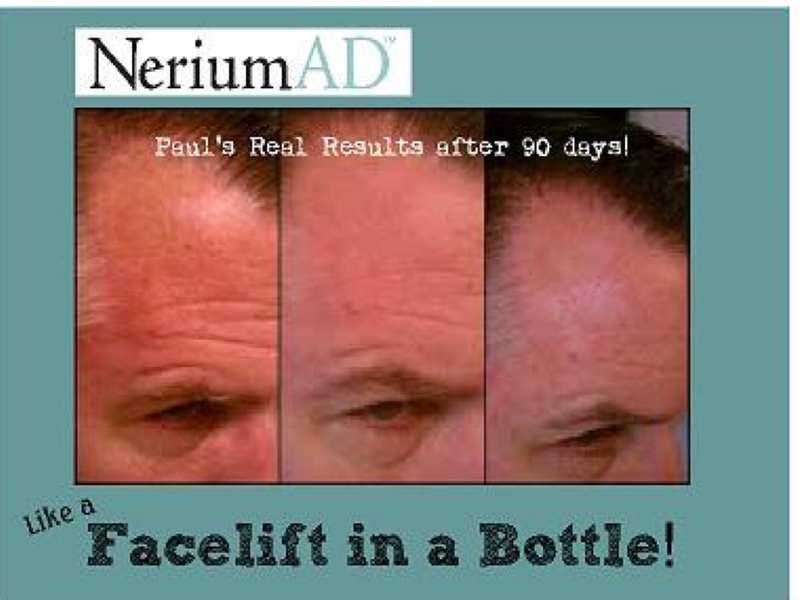 WHY NERIUM? WHY NOW? By One of the top Money earner in Nerium International! Watch this short video to see where we are going! 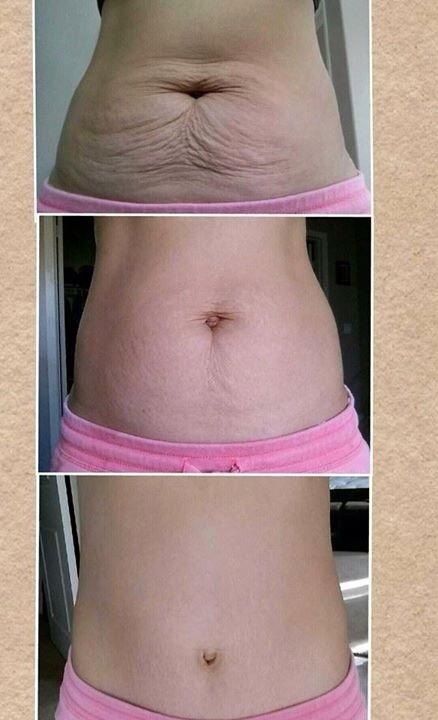 Great 21 day results on appearance of Cellulite and loose skin. This Senior Director Training call is a powerful training for the first Leadership Position in Nerium. Delivered by two experienced professionals in Relationship Marketing that keeps it simple. Live interview of Ron and Leslie by relationship Icon, KC Townes. Very powerful Interview and revels how to be successful n Relationship Marketing. 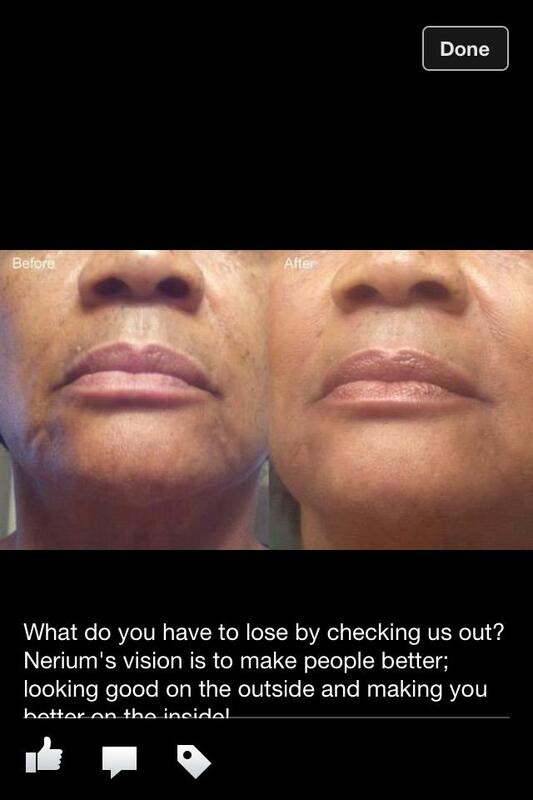 Nerium IS The Best Home Based Business Opportunity Ever! Find out why! 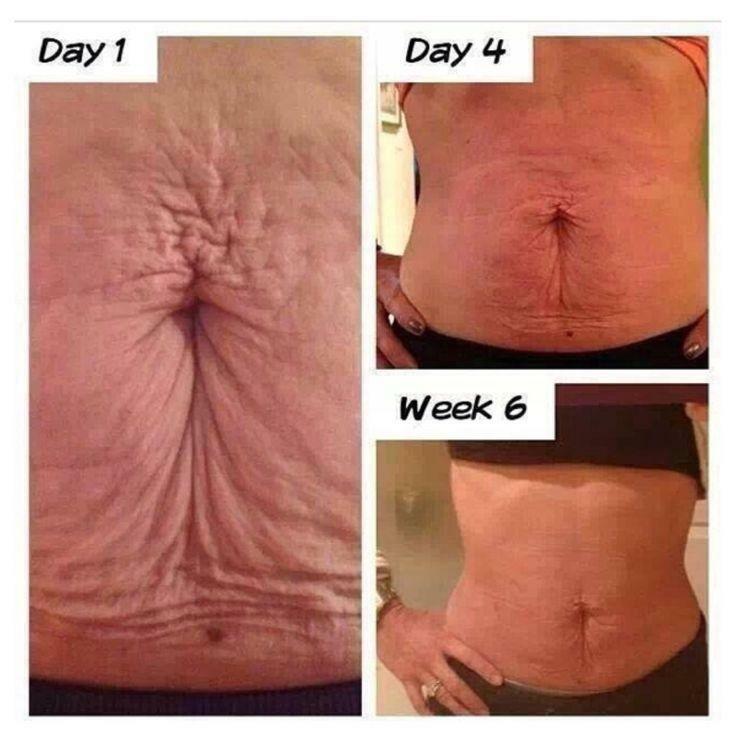 Nerium IS The Best Home Based Business Opportunity Ever is an audio post, click on the arrow to listen to a short 15 minutes of information on the best home based business opportunity ever! 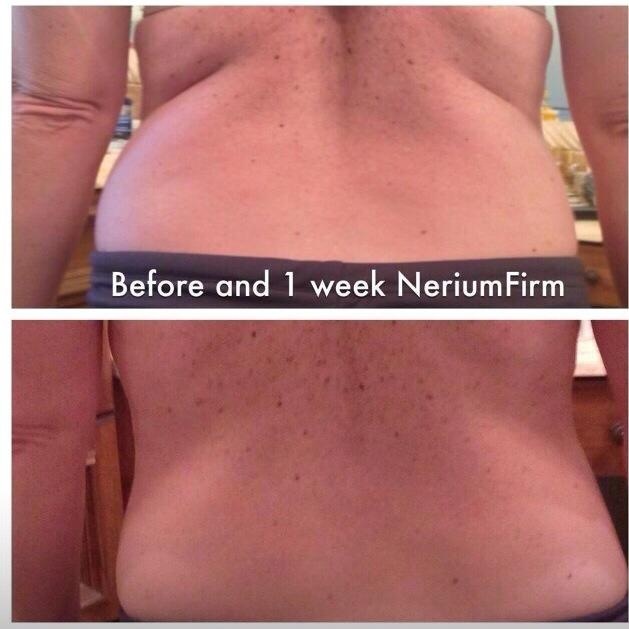 NeriumFirm Results for 52 days! 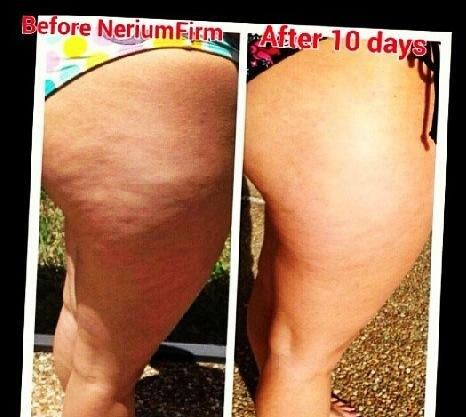 NeriumFirm Back before and after 7 days. Several years ago, I think about 10 (could of been more), this factual story was first published…. Let me tell you a story… Mark Yarnell, minister in a small town in Texas, was headed for bankruptcy and just about to lose his car and home. He looked for a way out and discovered Network Marketing. Luckily, he had a wise sponsor. He then invited 200 friends over to his house to watch a video. 80 said “No, not interested.” Mark had encountered ENEMY #1: Rejection. He thought, “No problem. My sponsor warned me about that. I’ve got 120 people still coming over.”Guess what? 50 didn’t show up. He had just met ENEMY #2: Deception. Mark thought, “No problem, my sponsor warned me about that. I’ve got 70 people who watched the tape.” Guess what? 57 said, “Not interested.” He had just encountered ENEMY #3: Discouragement. This left mark with just one serious associate. To this day, that SINGLE distributor earns Mark over $50,000 per month! You may have heard of Bill Britt, one of the most successful distributors in Amway. Some years ago, 20/20 did a feature story on Amway. They spent 19 minutes interviewing whiners and complainers – several distributors who had failed and showed their garages that were full of products that they couldn’t sell. He replied, “There is no secret. I simply showed the plan to 1200 hundred people. About 900 said, ‘No,’ and only about 300 signed up. Out of those 300, only 85 did ANYTHING at all. Out of those 85 only 35 were serious, and out of those 35, 11 of them made me a millionaire!” Like Mark Yarnell, Bill Britt worked through the numbers. Jason Boreyko, now President of New Vision, told this story recently… When he was a distributor in Matol, he signed up 50 people. He heard a lot of “No’s” on the way to those 50. That went on for six months. The seventh month, something had changed for the man, and he said, “Yes.” That man made Jason over one million dollars. Jason also worked through his numbers. According to Richard Poe in “Wave Three”, while starting Amway, Rich Devos and Jay Van Andel, America’s eleventh riches people, recruited 500 people. 495 dropped out. The five that didn’t quit built Amway. All $7 Billion of Amway’s business was built under those 5 people. (Amway did $11.4 Billion in 2013 BTW …that is a whole lot of people making a whole lot of money) Jay and Rich had to work through their numbers. There are many similar stories. Your success is directly related to the degree to which you are willing to work through YOUR numbers to find others like yourself who are committed to succeed. Mark Yarnell’s odds were 1 out of 200. Bill Britt’s were 11 out of 1200. Jason Boreyko’s odds were 1 out of 50. Would you be willing to go through 200 people to find the 1 person who will make you $50,000 a month? Or go through 200 people to become a millionaire? Or hear uncounted “No’s” to sign up 50 people to find a million dollar person? I hope you will…It’s easier when you know the odds up front. But here’s the catch…You have your own set of odds and you won’t know what they are until AFTER YOU’VE SUCCEEDED! So, if you’ve gone through 50 or 100 people and you haven’t found your ONE serious person yet, you can either give up and assume the business doesn’t work, or recognize that you are just working through your OWN numbers and will one day tell YOUR STORY!It’s your choice. All of these stories are true… I know Mark Yarnell, met him first time in 1988…Bill Britt was my first mentor and I remember watching this telecast..I don’t know Jason but know his story. These stories all happened beginning in the early and mid 1980’s when our marketing model (I say ours because it is mine and can easily be yours) was really still in its infancy…it was growing though and in that growth and many of the participants who were hugely successful observed what happened and why. Then they did the one thing to bless us. They started teaching how to do it, and that process is what has made the difference in the larger numbers of successful endeavors in this marketing model in the last two decades. Some of those teachers have indeed become great mentors in those years. Some have continuted to learn and teach. Today one of those people is Jeff Olson. I’ve worked with Jeff for 18 years now. I’ve been mentored by some great ones…Bill Britt…John Kalench…Jim Rohn…Zig Zigler…Paul J Meyer…Rocky Beach. Dennis Windsor..Larry Thompson BUT the best and greatest mentor has been Jeff Olson. And the entire Relationship marketing model has learned from him during the past two decades, even to copying his systems of duplication because they are the simplest to do and the easiest to teach. 1. ONE OF THE 5 MOST IMPORTANT ASPECTS OF THE RELATIONSHIP BUSINESS IS YOU MUST HAVE A MENTOR THAT CAN TEACH YOU HOW TO DO THE BUSINESS…..That is why the first picture is included….nothing is as important. Find someone that can teach you. Find someone who has the “OUTLIER” experience. (the book, “Outlier” says that it takes basically 10,000 hours of doing something to become an expert which equates to about 7.5 years of FULL TIME experience. FIND ONE OF THOSE PEOPLE! ASK THEM HOW MUCH EXPERIENCE THEY HAVE? FOR YOUR OWN GOOD! 2. THERE ARE NO SHORTCUTS TO SUCCESS REGARDLESS OF WHAT SOMEONE TELLS YOU. That is why the second picture is included. 3. THE TIME TO DO IT IS NOW. THERE WILL NEVER BE THE “PERFECT TIME”…IT JUST DOES NOT EXIST! YOU HAVE TO GET STARTED AND YOU HAVE TO DO IT NOW….IF NOT A YEAR FROM NOW YOU WILL BE FURTHER BEHIND! That is the reason for the 3rd picture. 4. YOU ARE NEVER GOING TO CHANGE YOUR CIRCUMSTANCES UNTIL YOU MAKE A CHOICE THAT LEADS TO THE PROMISE OF THAT CHANGE, BUT IT WILL NEVER HAPPEN UNTIL YOU MAKE THAT CHOICE! That is the reason for the 4 picture. Eric Canja "In case those who don't know Ron, my first interaction with him revealed just how much INTEGRITY and LEADERSHIP he exudes - simple words of ENCOURAGEMENT go a long way - as well as a little "tough" LOVE... thanks for all you bring to the industry..". Greg Arnold..." Ron, we loved your interview today on our radio show...you were awesome. 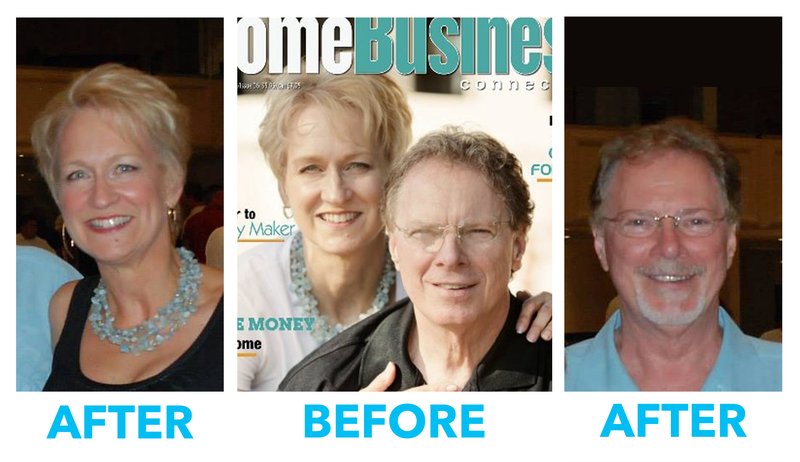 Listen to the replay here: http://homebasedbusinesslive.com/?p=142 "
Tom Chenault "I LOVE Ron Forrester! Man!!! Was that a day! YOU are awesome Ron! I love my life!! " Margaret Norris-Guerrero "Great interview on the radio Ron! :)"
Tom Hatfield ..." You are incredible, Ron!" '"Ron, I am finally going to get a chance to meet you. I am flying to New York for the the Montel Williams event. Please make some time available...Thanks in advance,"